Welcome to HomeSnag. 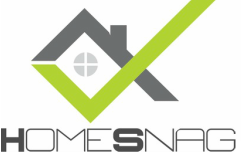 We are a new-build professional snagging company offering the most comprehensive snagging survey available on new-build properties throughout the whole of England & Wales. Our mission is to push for higher standards of new-build property handovers. Our professional snaggers are highly experienced surveyors with RICS accredited & thermography qualifications. Using specialist equipment we are able to check for issues that are out of sight before it is too late, raising both minor and major snags in a photographic report issued within just 48 hours after the inspection. Why choose a professional snagger? "In November 2017, the family hired independent inspection company HomeSnag to do a report - and they identified nearly 150 problems"